The Port Authority embraces a workplace where the values of diversity and inclusion support varying perspectives and backgrounds to produce a richer environment. We have a longstanding policy of encouraging and maximizing opportunities for minorities, women, veterans and small entrepreneurs in the New York and New Jersey region to the fullest extent possible consistent with the law. We further demonstrate our commitment by having our employees value and respect the differences among ourselves, our patrons, and our business and community partners. Our enduring commitment helps to create an atmosphere and environment where diverse individuals and businesses are provided with the opportunity to fully compete, fully perform and fully maximize their contributions. Instilling an appreciation for diversity and inclusion in everything we do ensures that we continue to be an agency that is an effective and desirable workplace for our employees. Employee Resource Groups (ERGs) are voluntary, employee-organized, company recognized groups that provide a forum for employees of similar backgrounds, cultures, and interests to come together for networking, support and professional development and to promote cultural and civic awareness. ERGs assist companies with core business objectives such as recruitment and retention of employees, marketing and advertising, and establishing nurturing community relationships. The mission of the Port Authority Abilities Network (PAAN) is to establish a diverse and inclusive work environment that values, respects and embraces employees for their abilities. Working in collaboration with the Port Authority and in alignment with its business objectives, we aim to build awareness, maximize potential and empower members with and without disabilities in order to advance the organization’s mission of meeting the critical transportation needs of the bi-state region. We are dedicated to increasing the level of awareness across the agency about the talents and contributions of people with disabilities while fostering opportunities for our members to reach their highest potential and promoting ways in which our customers, patrons, and business partners have greater accessibility and accommodations to all Port Authority facilities, in keeping with the agency’s commitment to exceptional customer service. The mission of the Port Authority Asian American Association (PAAAA) is to enhance the awareness and importance of a diverse workforce within the Port Authority. The PAAAA strives to maintain and provide an organization with high standards to fulfill the mission and to represent the needs and ideas of Asian and Asian American staff through all aspects of the agency, particularly in key decision-making positions, to address the unique perspective of the various cultures that are represented through PAAAA. The group strives to convey a greater understanding and recognition of the impact of Asians and Asian Americans within the Port Authority and within the region we serve. PAAAA is committed to promoting potential and effective future leaders and assisting them in cultivating long-term positive relationships necessary to succeed and contribute to the overarching agency mission. The mission of the Network of Black Employees (NBE) is to enhance and encourage the career growth and development of its members, as well as provide community outreach and assistance. NBE is an organization of African-American and other minority employees of the Port Authority that was established in 1983 to develop, enhance and provide a network of resources for career development and skills enhancement of members; to identify, develop and participate in economic empowerment and business opportunities for its members both within and external to the Port Authority; and to promote community outreach and/or involvement, particularly to collegiate or scholastic-bound youth. The mission of the Network for Emerging Talent (NET) is to create opportunities and programs that foster relationships between employees from different generations and with different levels of organizational experience, ensuring that new and emerging staff can build trust with and gain broad institutional knowledge from those further along in their careers, and vice-versa. Through networking and information-sharing efforts, we will allow for the continued development of our multi-generational workforce and, subsequently, the continued success of the Port Authority. The mission of the Port Authority Hispanic Society (PAHS) is to represent and promote the interest of Hispanics employed by the Port Authority/PATH by supporting PAHS members as an agency resource; aligning efforts to the agency's business goals; providing training outlets and developmental activities to enhance the career prospects and professional growth of its members; enhancing Hispanic representation; serving as a conduit for social, cultural, and professional networking activities, outside organizations and the communities that we serve; and promoting awareness of and involvement with underrepresented employees’ issues and concerns. Learn more about the PAHS Book Award Program. The scholarship honors Elizabeth Reyes—former President and dedicated PAHS member. Book Award winners will be selected based on several criteria which include academic performance, demonstrated community service, merit, and professional goals (career and/or academic). 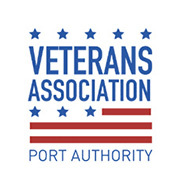 The mission of the Port Authority Veterans Association (PAVA) is to foster an active community among Port Authority professionals – military veterans and supportive colleagues alike – and lead agency efforts to provide support to all veteran, retired, active duty, and reserve members of the United States Armed Forces. PAVA unites our agency's veterans and military supporters, enabling our members to share their experiences and strengthen networks across the agency, while further developing leaders in the Port Authority. Additionally, PAVA will support the agency by attracting and retaining talented military candidates, and supporting their successful transition to the civilian workforce. 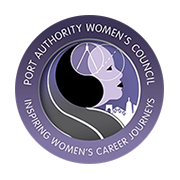 The mission of the Port Authority Women’s Council (PAWC) is to enable and empower women to thrive in their careers at the Port Authority of NY & NJ. The PAWC seeks to prepare members for opportunities and programs at the Port Authority to advance in leadership roles; to provide networking and information sharing platforms to aid in career development, help women navigate through the agency and to address issues specific to women in the workplace; to celebrate women role models; to educate about different career journeys and lessons learned along the way; and to inspire women to own their careers and find their unique career paths. PA PRIDE serves as the Port Authority’s network for LGBTQ employees. PA PRIDE focuses on ensuring a fair, safe, and equitable workplace for LGBTQ individuals with the goal of increasing the reach of Port Authority recruiting and ensuring best-in-class diversity practices. PA PRIDE will focus on outreach, network building, and dynamic programming to highlight the Port Authority as an employer of choice for LGBTQ individuals.